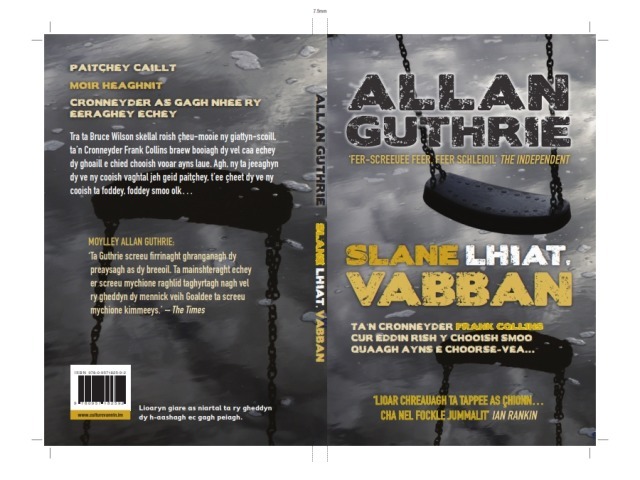 The Manx Gaelic version of an Alan Guthrie novella, Bye By Baby which was described by Ian Rankin as 'a quick, taut thriller ... not a word is wasted." 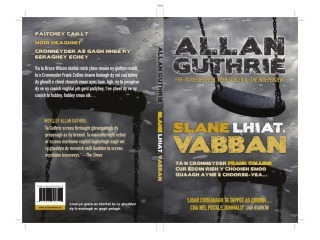 and which was an Amazon top ten bestseller with sales of over 50,000 copies, has just been published by Culture Vannin, under the title Slane Lhiat, Vabban. The story tells of a seven-year-old boy who disappears after school; the case is handed to Detective Frank Collins who has been looking to lead a high-profile case for a while and sets out determined to prove his worth. But the missing schoolboy is only a trigger for another crime. Someone is intent on exploiting the boy's grief-stricken mother. And they have plans for Frank Collins too.